Well, we were wrong. Enjoy our failed attempt suggesting the Los Angeles Rams could win. Ask not for whom the bell tolls; it tolls for the New England Patriots. This Sunday, the New England Patriots will play the Los Angeles Rams in a rematch of Super Bowl XXXVI, which the Patriots won 20-17. Crazy as it seems, it will be Patriots' head coach Bill Belichick's 12th Super Bowl appearance (ninth as a head coach), meaning he has appeared in 23% of all Super Bowls played. This year, the Patriots are 2.5-point favorites and Maroon 5 and Travis Scott are slated to perform. But who will win? As in past years, Callahan uses credit union data to break down the matchup and pick a winner. 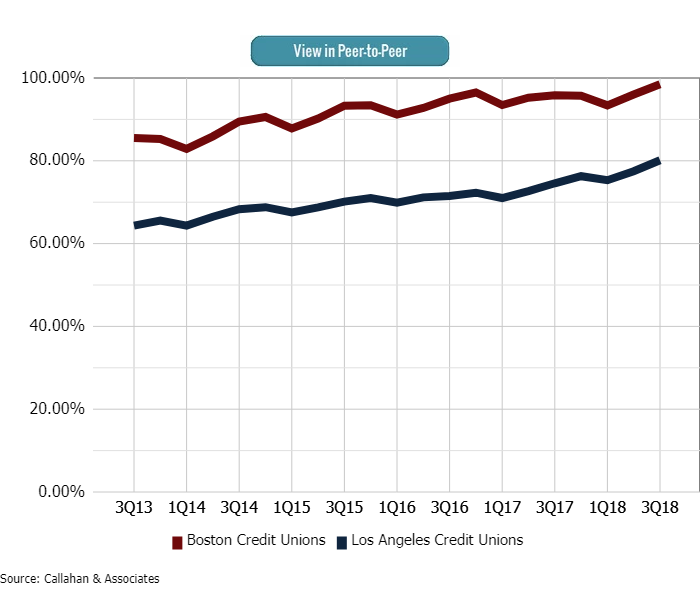 A sign of things to come: Los Angeles-area credit unions far outpace their Boston-area peers in loan growth at third quarter 2018. 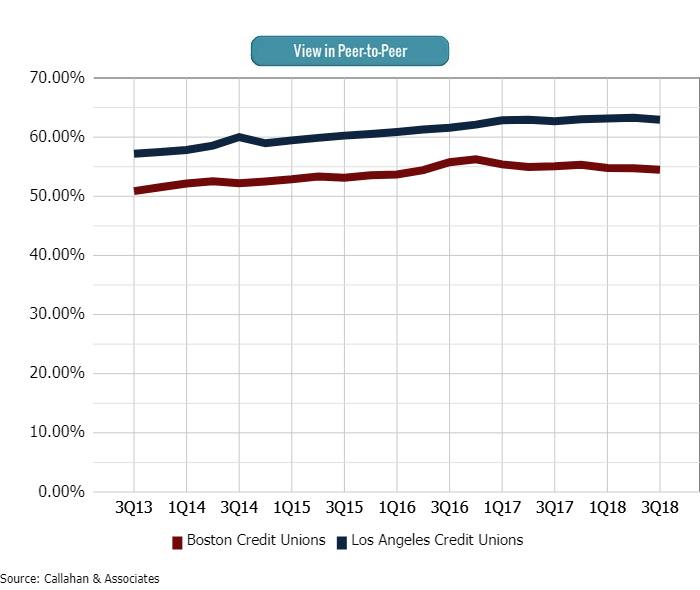 Boston credit unions answer here thanks to a 98% loan-to-share ratio, compared with 80% for Los Angeles credit unions. The lead widens. 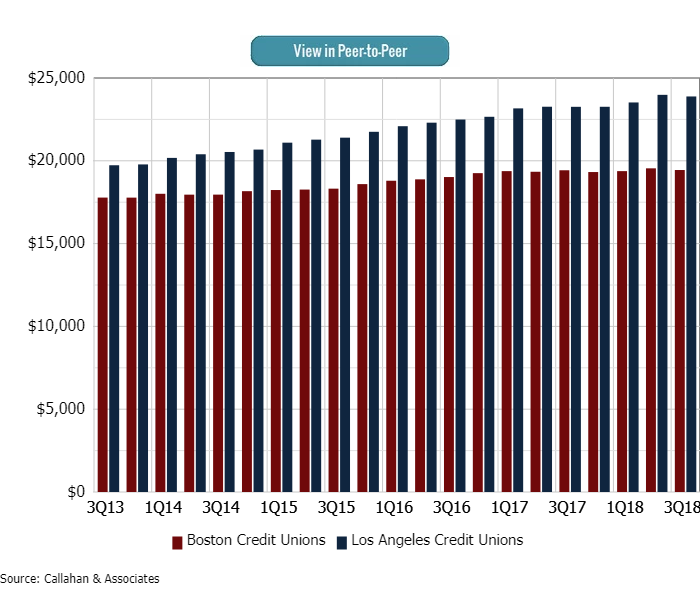 With a difference of $4,500, credit unions in Los Angeles post a higher average member relationship than their Boston peers. The blowout begins to take shape. 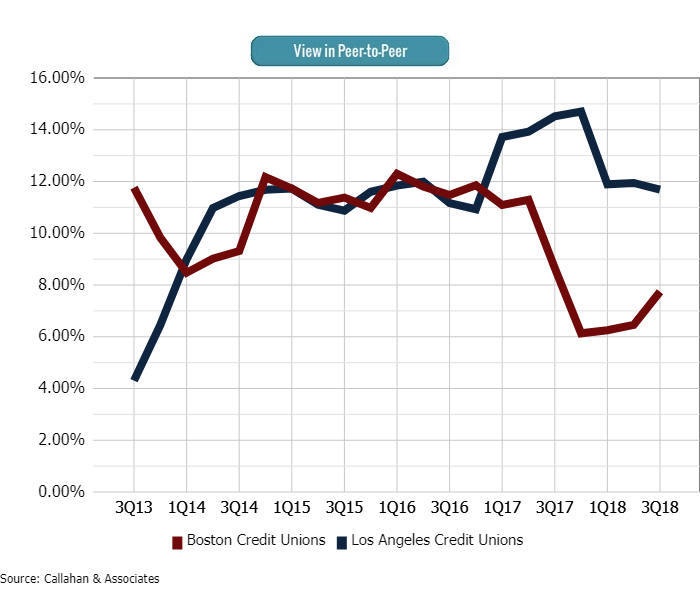 Los Angeles credit unions post a share draft penetration nearly nine percentage points higher than Boston credit unions. Close, but no cigar for Beantown credit unions when it comes to total delinquency. 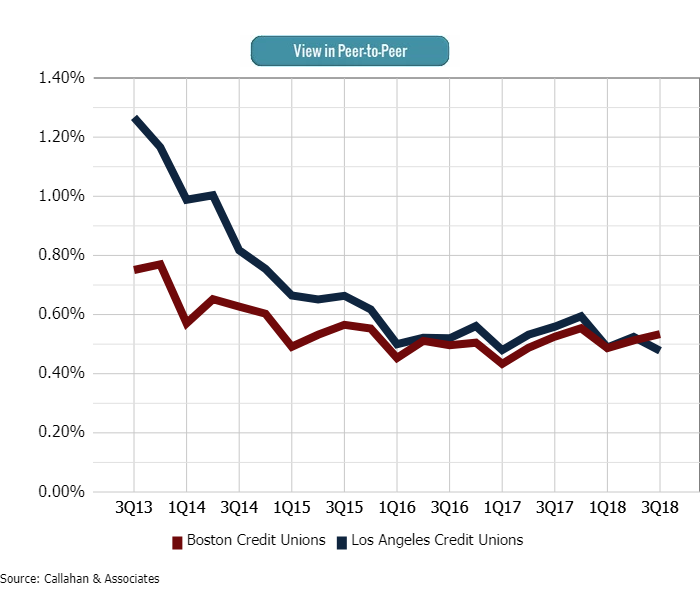 Credit unions from the City of Angels average a delinquency rate 5 basis points better than their Boston peers. Another point to LA. 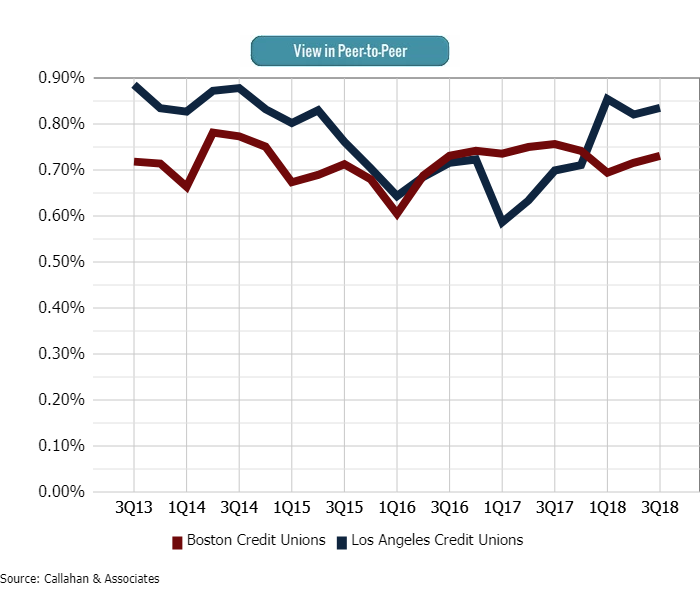 Los Angeles credit unions hold a 6 basis point advantage (2.91% to 2.85%) in net interest margin, setting up a final metric that takes the game even further out of reach. Another metric, another Los Angeles win. 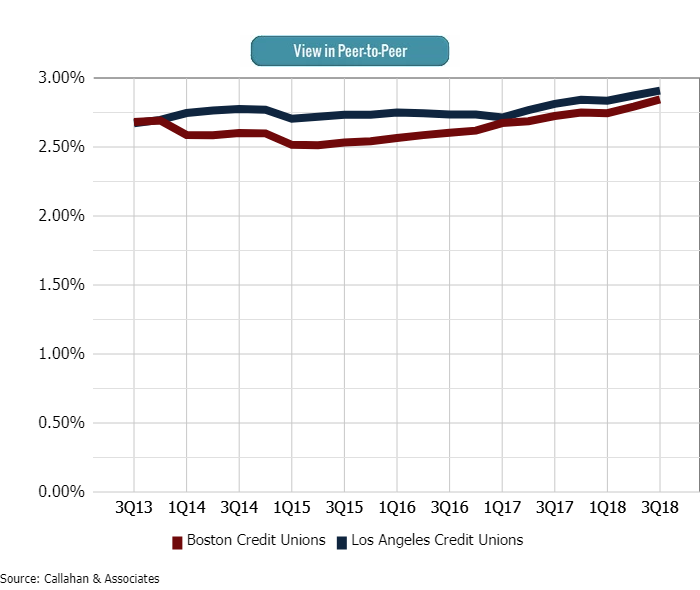 The 0.83% return on assets for Philadelphia credit unions bests the 0.73% for Boston credit unions. The Los Angeles Rams will take down the New England Patriots in Super Bowl LIII, and Callahan data does not predict a close contest. Congratulations are in order for Rams head coach Sean McVay who, at 33, would become the youngest winning head coach in Super Bowl history. If you’re a Patriots fan looking for optimism, however, there's a lot to love. In Patriots quarterback Tom Brady's career, the Pats have never lost consecutive Super Bowls (Callahan correctly predicted last year's Patriots loss). In addition, experience is on the Pats side. Tom Brady has won 29 career playoffs games; for the Rams, Super Bowl LIII will be the franchise's 29th playoff game. More to the point, 27 of the Patriots' 53 players have won a Super Bowl, compared to just three Rams. We said this last year, but bet against the Patriots at your own risk. But what do you, the CreditUnions.com reader, think? Leave us a comment below telling us who is going to win and why. Thanks for your comment. XIII refers to the number of years Callahan has run this fun little data game. As good as Super Bowl XIII was, we're more excited to see what the Great Millennial Hope Sean McVay has up his sleeve this year.